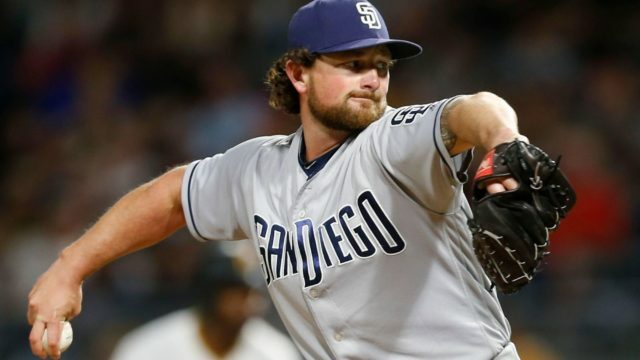 SAN DIEGO, Calif. (May 8, 2018) – San Diego Padres Pitcher, Kirby Yates, announced his fundraiser to support relief efforts in his hometown of Koloa, Hawai’i after nearly 50 inches of rain fell on Kauai in just 24 hours and caused extensive damage. Yates has agreed to match up to $5,000 to reach his $10,000 goal to go towards the Hawaii Community Foundation. Donations can be made at youcaring.com/koloa. Residents of the Koloa community did not receive a flood warning and were unable to prepare or relocate to a safer area. This resulted in the loss of homes, cars and personal belongings. Many families were left without basic resources needed for everyday life such as food and clothing. The Hawai’i Community Foundation and Poipu Beach Foundation are coordinating relief efforts in the Koloa area. Donations from this fundraiser will provide supplies, clothing, food, and cleaning to those in the Koloa area. The Hawaii Community Foundation, a registered 501(c)(3) (Federal Tax ID: 99-0261283) helps people make a difference by inspiring the spirit of giving and by investing in people and solutions to benefit every Island community. For more information please visit, www.hawaiicommunityfoundation.org.